Luciana Squadrilli takes a look at the most famous salumi found in Umbria, a region known for its incredible pork and skilled butchers. 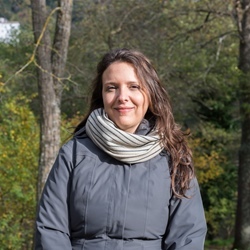 It's basically a requirement for anyone visiting Italy to investigate its culinary heritage and visit its incredible farmers’ markets, delicatessens and food halls. And when it comes to charcuterie and salumi you’ll probably notice a recurring word: ‘norcineria’. This term – referring to the art of artisanal pork butchery and curing – comes from the Umbrian town of Norcia, also known by its Latin name of Nursia. An ancient pre-Roman settlement in the heart of Valnerina (a pristine mountain valley), Norcia also gave birth to St Benedict, the founder of the Benedictine monastic system. The beautiful basilica in the town was dedicated to him, but was almost completely destroyed by a terrible earthquake in 2016. The surrounding woods have always been rich with wild boars and pigs and Norcia’s inhabitants became so expert in hunting and curing meats that the name of the town became a synonym for it. Since the times of Ancient Rome, local craftsmen – by then called norcini – were well respected for their mastery in cutting and curing meats; using wild herbs to add flavour, carefully balancing the quantity of salt and taking advantage of the fresh and dry mountain air for ageing, they turned almost every piece of pork – including fat and lean cuts, as well as offal or humbler cuts – into true culinary delights. 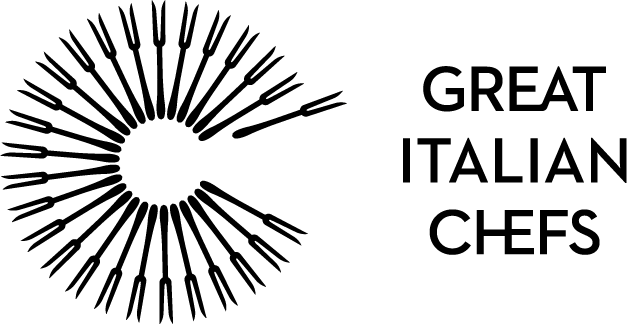 They became so famous that communities from all over the Italian peninsula and beyond wanted them as both butchers and surgeons! Of course, much has changed since then. Yet the Umbrian art of norcineria is kept alive by local butchers that continue to uphold the town’s reputation. 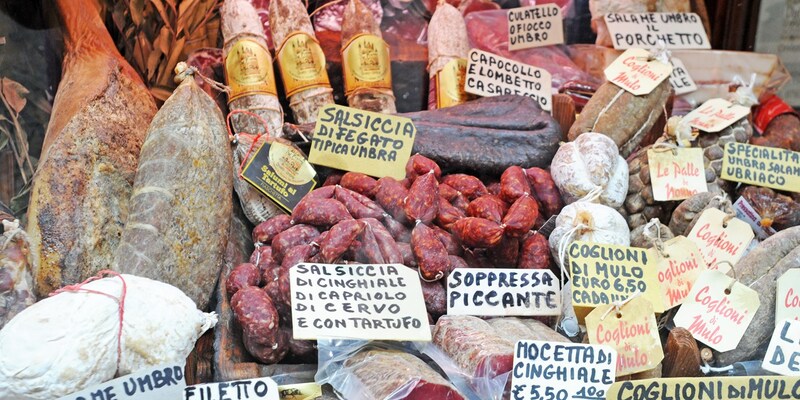 The number of traditional salumi – a category embracing the wide range of Italian charcuterie mostly made from pork – is vast, including different kinds of hams, salami, sausages and more unusual cured meats. These are the most famous and peculiar ones. 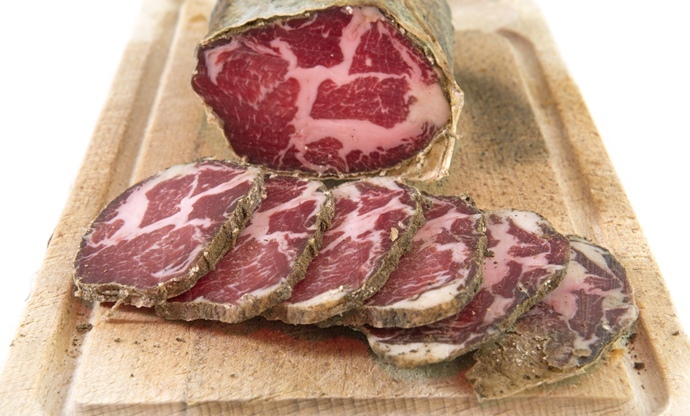 Umbria’s most precious cured meat is Norcia ham, which has held a PGI since 1997. It’s also made in the nearby villages of Preci, Monte Leone di Spoleto, Poggiodomo and Cascia. The pear-shaped pork thigh is used to make it, which has a small amount of fat. After being dry-salted and coated with a mixture of lard and rice flour, the thigh is then gently seasoned with ground black pepper. Prosciutto di Norcia PGI is aged for at least one year (but can be left for up to 18 months and beyond), at which time it has developed an intense yet balanced taste. Heavenly scented, it should be sliced by hand just before serving. One of the most traditional and widely-known Umbrian salamis in Italy, corallina – whose name apparently refers to its elongated shape, resembling a coral branch – is an essential part of the typical local antipasto. The mixture – made of finely minced lean meat from high-quality pork and coarse cubes of fat – is seasoned with salt, ground pepper, whole peppercorns and garlic cloves marinated in wine. The salamis are matured in ventilated rooms heated with wood-burning stoves, often resulting in a gentle smoky flavour, and then aged for three to five months in cool rooms. Literally meaning ‘head-neck’, capocollo – which is also called coppa – is a cylindrical piece of cured meat made with the upper back muscle of the pig. 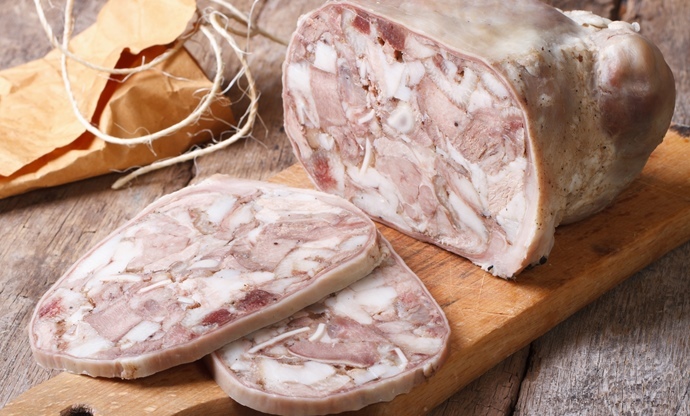 Heavily seasoned with salt, black pepper, garlic, coriander, sometimes fennel seeds and washed with white wine, the meat is folded into a natural casing, wrapped in waxed paper and placed in a net to preserve its flavour during the thirty-day maturing process (although it can be left longer). Once sliced, the dark red meat is marked by bold marbling; this adds taste and lends a certain softness and roundness to the savoury meat, which becomes firmer and firmer with age. Easy to find year-round, capocollo is traditionally eaten on Easter Monday for the so-called ‘colazione di Pasqua’ (a late and rich breakfast) along with the typical ‘pizza di Pasqua’ (a soft cheese-flavoured bread). 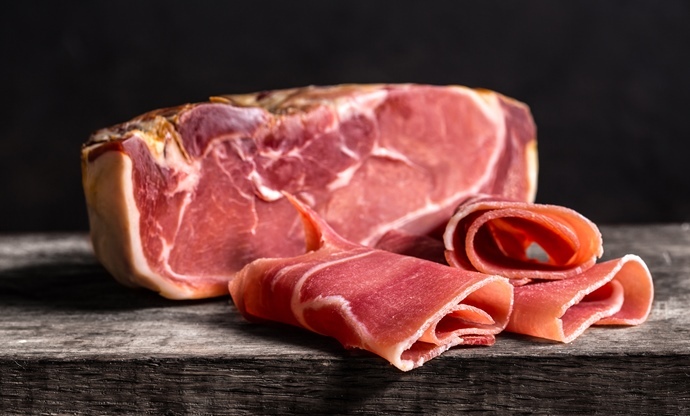 The name of this cured meat can be misleading, as this peculiar cold cut – also made in other Italian regions with local variations – has nothing to do with coppa (or capocollo). In this case, the main ingredient is a mix of pork offcuts, mostly coming from the head: ears, nose, snout and so on. Boiled for a long time and seasoned with salt, pepper, pine nuts, sultanas, citrus zest and other spices (even truffle, sometimes), they are then finely chopped and stuffed into a natural casing and left to dry and mature. 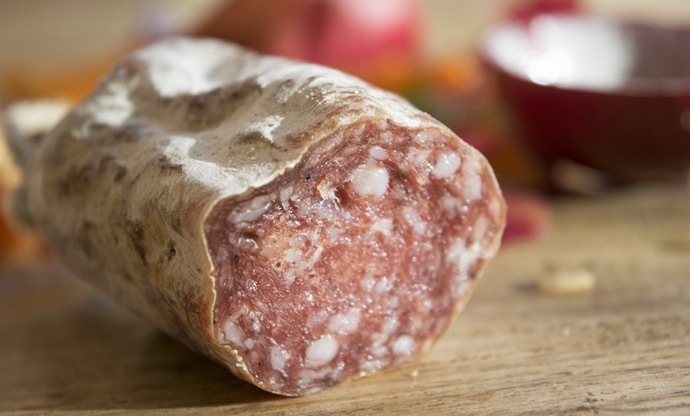 Thanks to the high collagen content, the final result is a firm and tasty salami which can be sliced and eaten with bread or cut into small pieces and seasoned with thin slices of lemon. 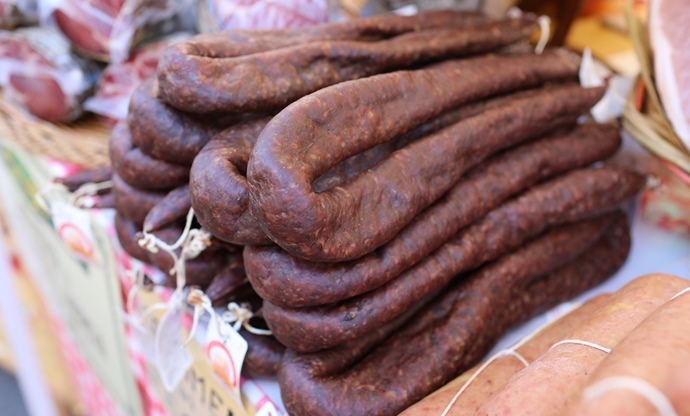 Pork liver (fegato) is the key ingredient of these tasty, spicy sausages, which can be eaten both fresh or matured. The liver is mixed with other parts of the animal – both noble and poor meats – and seasoned with salt, pine nuts and pepper. The mixture is then placed in a natural casing (which is washed with wine) and knotted with a cotton string to obtain the small sausages. There is also a sweet version of mazzafegati, seasoned with sugar, raisins and orange zest.